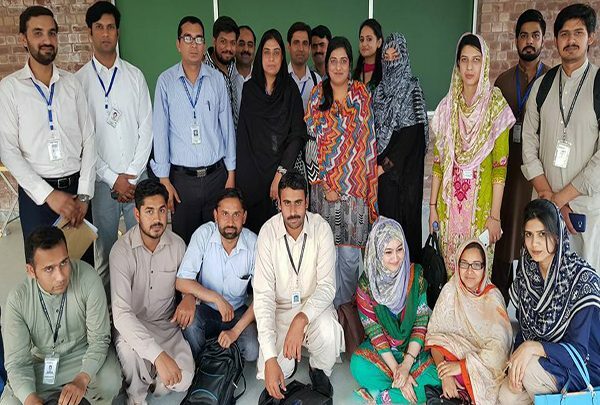 A workshop on Mendeley: Referencing Management Software was held at UOL, Pakpattan Campus recently. Mendeley is a reference management software that helps to build libraries of references and adds citations and bibliographies to word processed documents. Mr. Pir Altaf Hussain Chishti, the Campus Director was the chief guest at the event along with Dr. Hafeez, Director Academics and Prof. Saleem Raza Chaudhry, Pro-Rector External Campuses. Mr. Zeshan Anwar, Assistant Professor, Department of Management Sciences was the key facilitator. He discussed the importance and application of the software in details to a large number of students and faculty members who attended the workshop. The Campus Director thanked the HoD of Department and the facilitator for making the workshop a success.